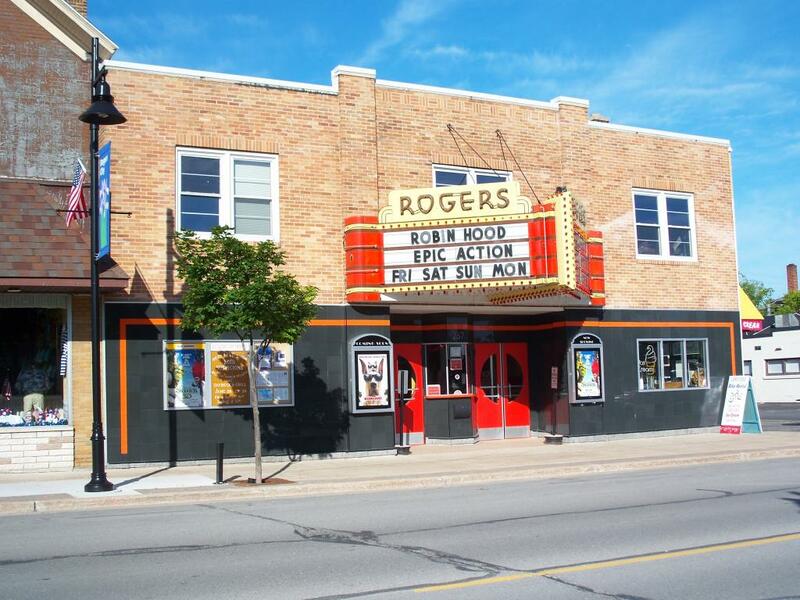 The Rogers City Theater (originally known as the Rogers Theater) located on Third Street in Rogers City, is an Art Moderne style theater with seating for 500. The theater shows first-run films in its single-screen auditorium as well as hosting live entertainment. It is the home of Rogers City Community Theatre. A major recent overhaul (thanks to a Kickstarter Campaign) to bring the theater into the digital age makes your experience more special! The movie screen is Disney 3-D capable, the films are all digital, and the whole center section of seats have been replaced with state-of-the-art comfort seating. The Dolby Surround Sound audio system makes this a complete package for cinematic and live performance!